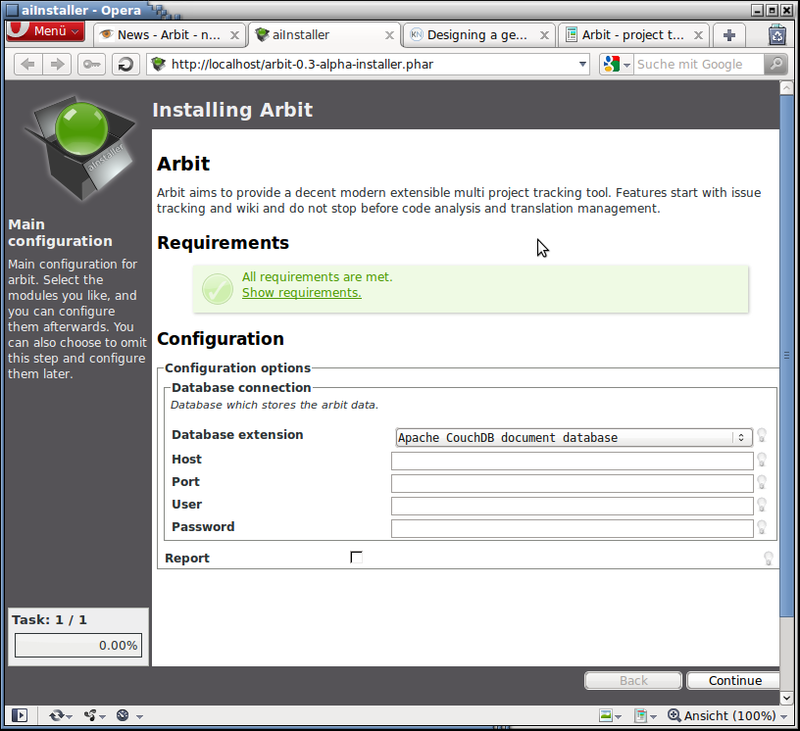 Half a year after I collected requirements for a generic PHP application installer , Kore already implemented the first bits of it for the Arbit installer, which is supposed to be generic enough for other PHP applications, too. He also held a talk at the PHP Unconference in Hamburg, collecting more requirements for it. Here I added ar| to get .phar files running. Apart from checking requirements and collecting the data, the installer does not yet do anything else. Installing files, creating database tables and so is still missing, as well as the CLI interface. Nontheless a good start .